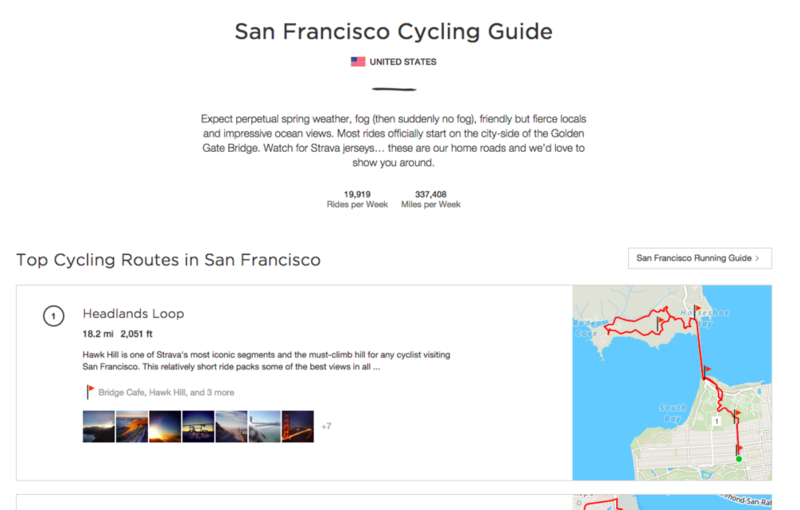 Curated routes for running and cycling in the world's most iconic cities. These are the best routes with the best stops and sights, driven by our athlete community and activity data. Local serves not only as an exploration tool for athletes to these iconic cities, but also to introduce a wider audience to the community. Designing for responsive web and internationalization were some key requirements. 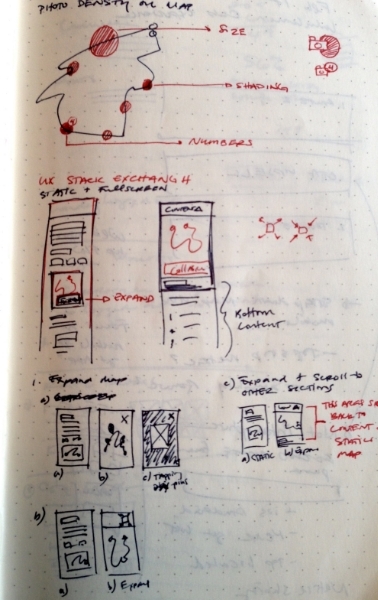 I created wireframes and early mockups that I presented to my team. We used this to determine user flow, layout, and phase 1 requirements. Then I designed the UI and interactions for the interactive route map including modals powered by activity data and Foursquare checkins and user-generated photos. The goal was to use the map and route to tell a story of where athletes stop and what to expect when exploring that area. To finalized the project, our brand team started finalizing creative assets like illustrations and photos. I worked with them to finalize photo selects and implementation. 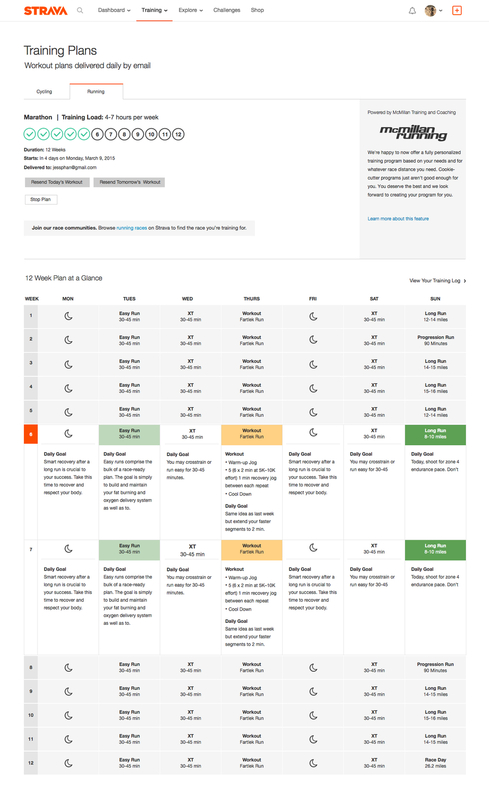 Run training plans are customizable coached plans for different running distances. I worked closely with my UX designer to iron out use cases and edge cases, before creating UI designs for both web. Collaborating with my team, I also created the life cycle web-responsive emails for training plans. 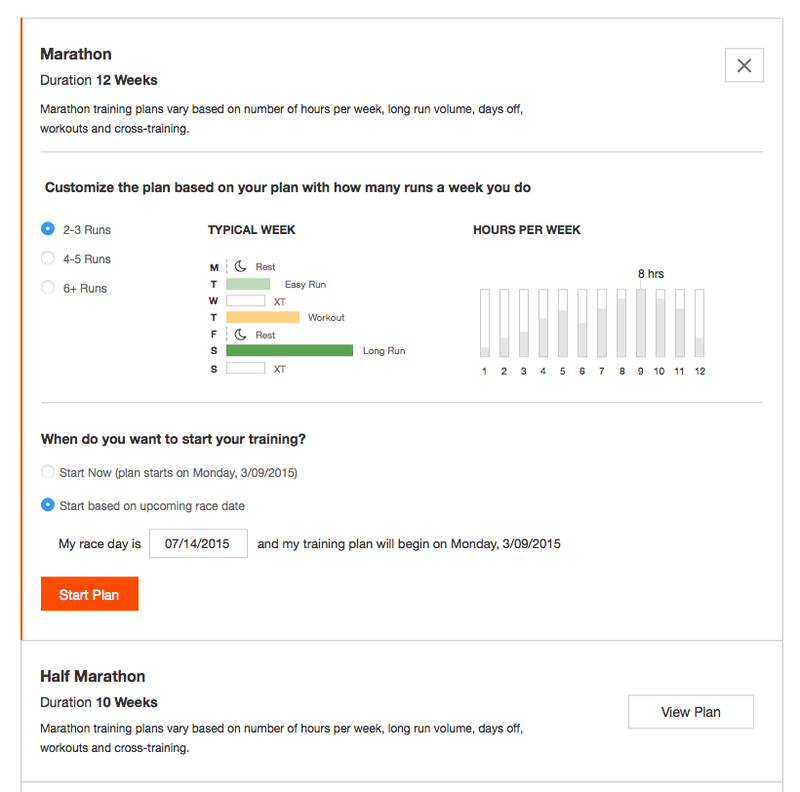 Training plans work as part of our runner ecosystem that includes Running Races on Strava (which I also led visual design on) and workout analysis. Workout analysis is a chart view of an athletes running activity with laps. Is an athlete did a run workout with laps, we wanted to give them a way to visualize the intensity of their laps which is integral to run training. I designed the interaction and visual treatment of the chart. A user can mouse over a bar representing their lap effort and see how hard they work, and also see the corresponding lap on a map. Log in to Strava for free to view the workout analysis on any activity that has laps (like this one) and a sneak peak of run training plans. I created the visual and interaction design for this project which utilizes 10 years worth of Amgen Tour of California data. This was fun project utilizing our API to show ATOC routes and pro riders that have their activity on Strava. 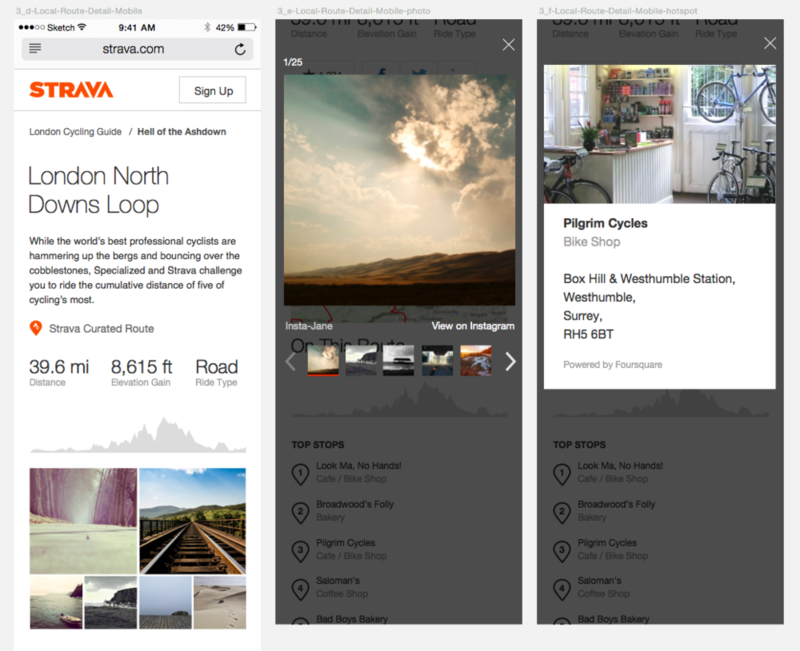 Users can view stages, see meta data of stages from each year, results, and follow the activity on Strava. Explorations of layout and scrolling interactions. Checkout the live version here on Strava Labs. His prototype without design or interaction beyond hovering on points. Sentimental is a project my partner was working on for fun. He created a data visualization prototype that gave a positive-negative rating to visually show how the news "feel" about certain hot topics over time. He wanted design and interaction, so I worked this out in a couple of hours just a handful of days ago. It was a great design exercise not only work on something with my partner, but just to crank out a small scale style guide. This will be live very very soon (he keeps telling me). You can find other examples of my work on Dribbble.